Easy for People. Hard for Bots. 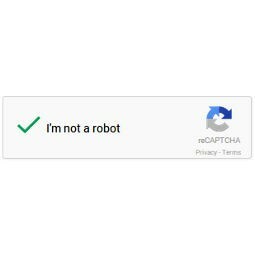 This is an integration module of a recently introduced reCAPTCHA V2.0 by Google (no CAPTCHA reCAPTCHA). 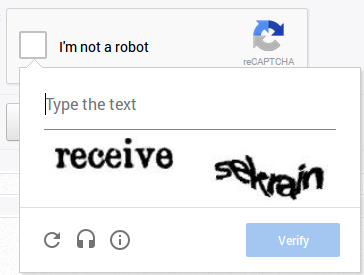 See http://www.google.com/recaptcha/intro/index.html for more information. It just works. Nothing else really to say. You want to replace all the recaptcha's with the latest much nicer version 2? Install this and you're done. Just that simple. Fun, friendly, well done, I regret not having bought earlier this module. Avoids an attack of nerves and now I'm sure not lose stupidly inscriptions. Much more comfortable for members.I recommend. great, this is a must have for every boonex website! This module worked first time that I installed it without any fuzz, fooling around, or tweaks. It worked out of the box. I cannot say the same for the 7.3.5 update where it was not working at all and after reading forums of other users havings issues and wasting time like I did, I paid the $15 for it and it was well worth every dollars. i just bought the recaptcha, it installed with no problem and is working great. thank you.